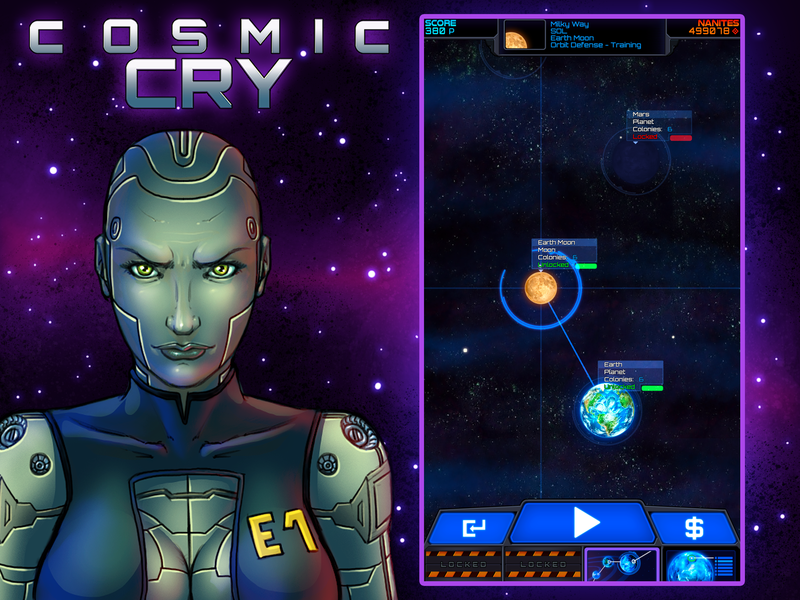 Cosmic Cry plays in the distant future, at a time when humanity has colonized many worlds in outer space. But human civilizations are threatened by an unknown alien power which attacks and destroys the human colonies on planets and moons through dimensional portals. 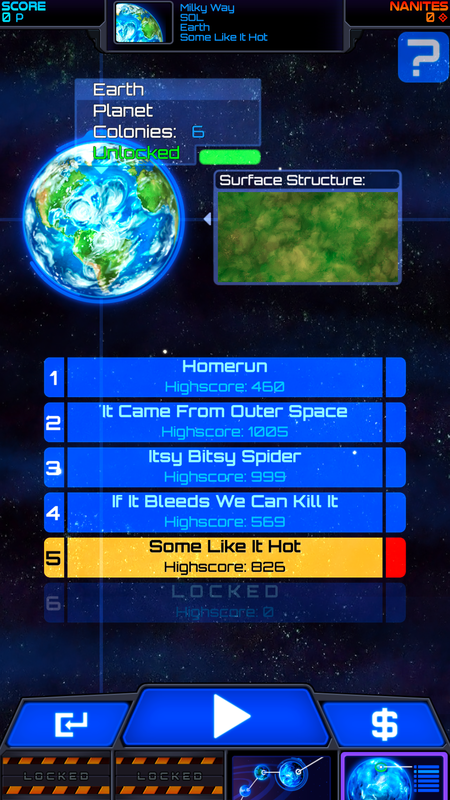 You are the independent commander of an orbit defense facility and are hired by the Earth forces to assist in the fight against the alien threat. 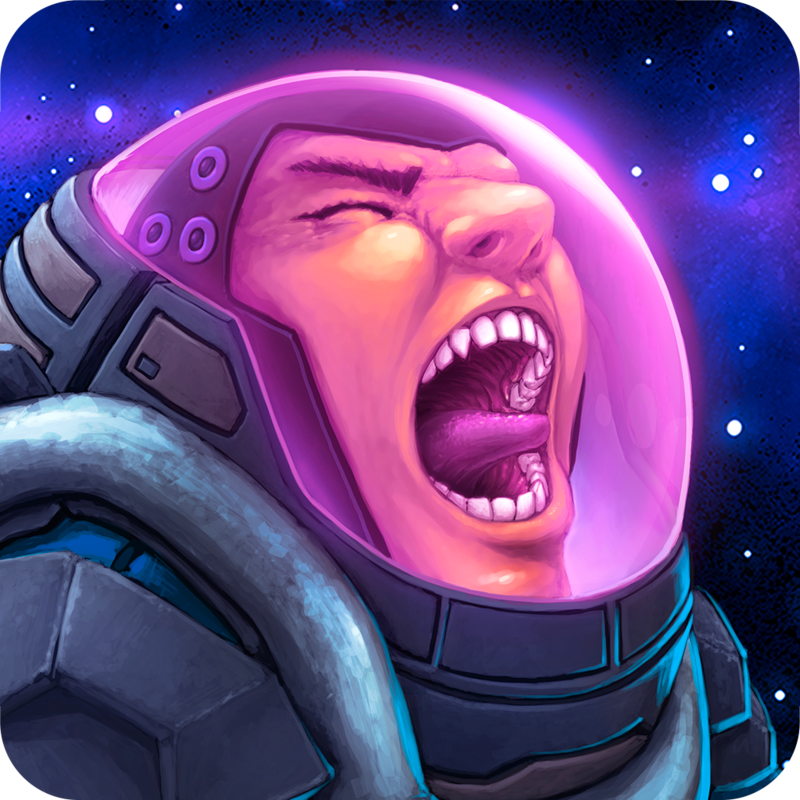 You are supposed to protect the space colonies of humans on all the different exotic worlds from the attack of the alien creeps and defeat and destroy the creeps, monsters and aliens in the epic fight for survival while discovering the secrets behind the attack. McPeppergames is an independent game company based in Germany. 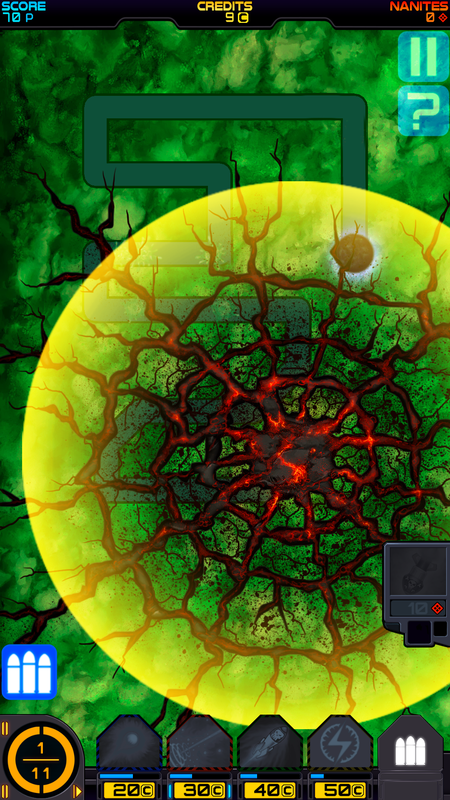 It was founded in 2013 by educator Daniela Mach and industry veteran Chris Noeth (formerly @ flaregames). McPeppergames started developing educational apps and games for kids and recently started to develop games for gamers. 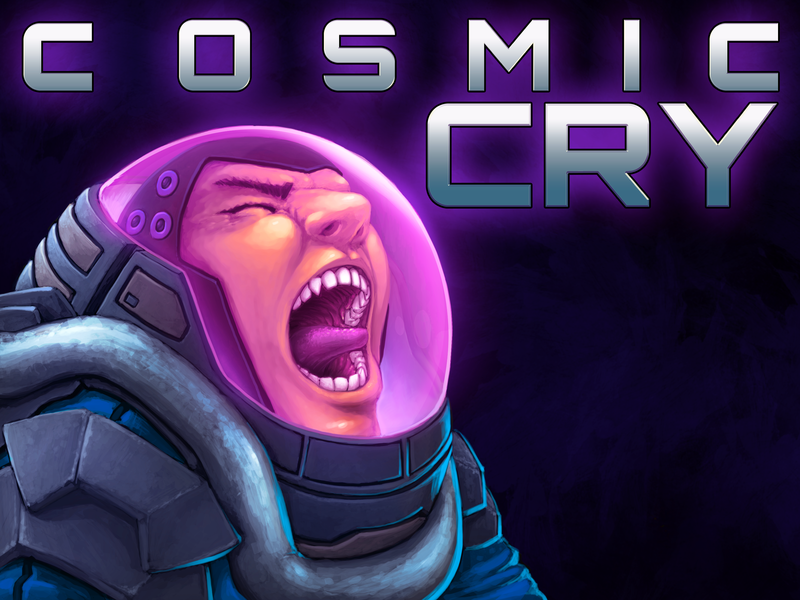 How and why did Cosmic Cry come to be? 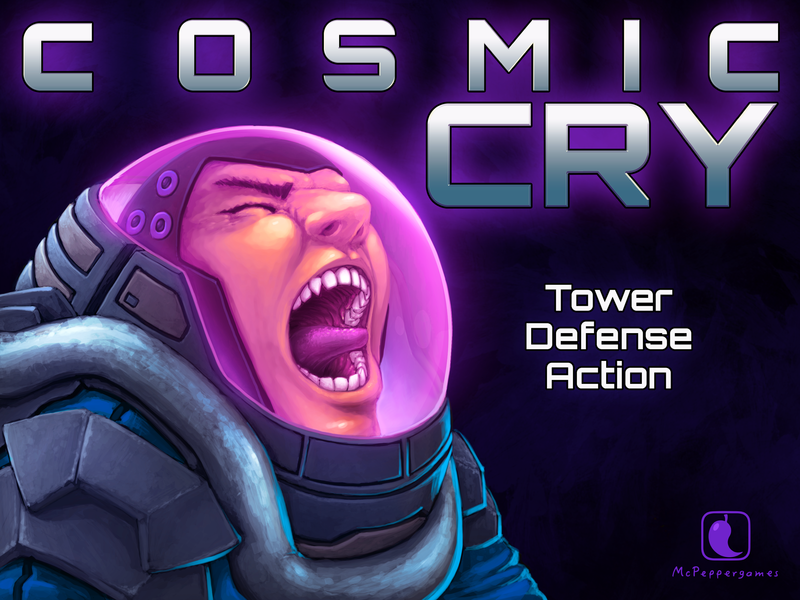 We love Tower Defense games and not seeing any new releases for this genre made Chris sad... so one day he sat down and started to do some art for his own TD game and he started to program a prototype which later resulted in a full production of Cosmic Cry. 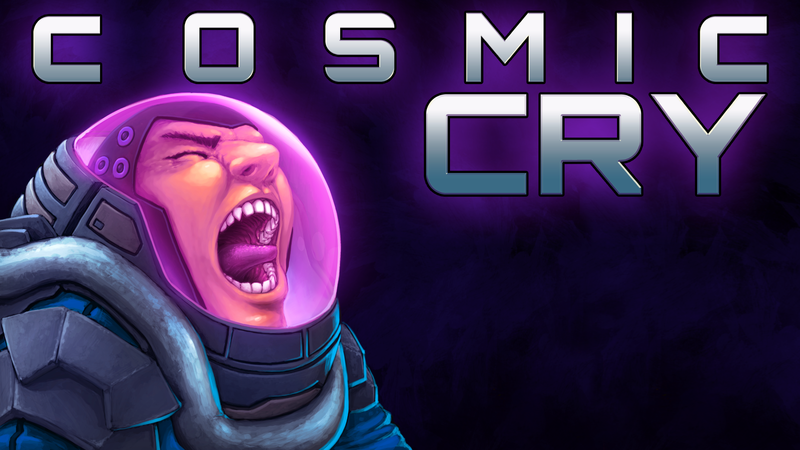 You now can play the first Open BETA version of Cosmic Cry. But please note most of it's content is intentionally locked, because we want to get some player feedback first. 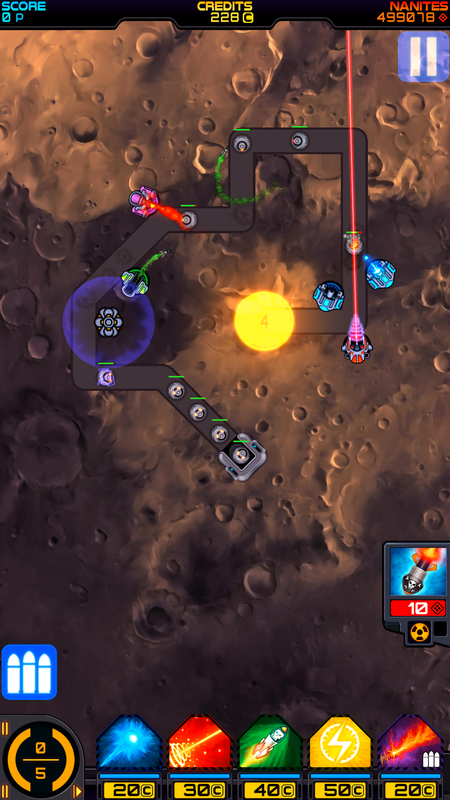 This will help us improve the game before unlocking the next content. 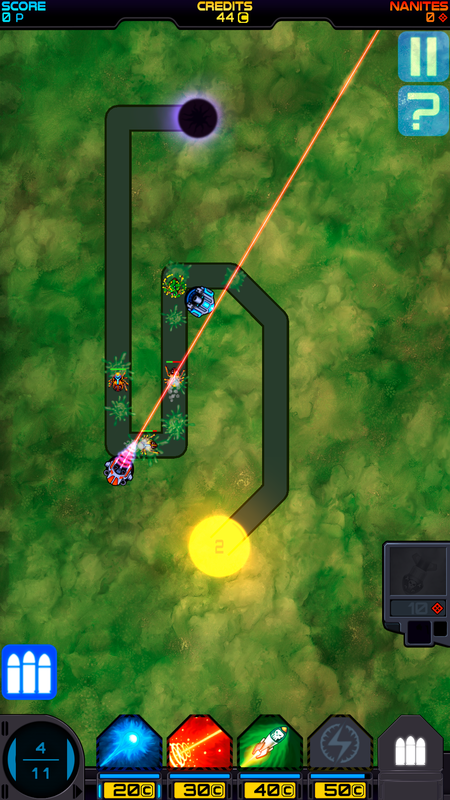 Science Fiction Tower Defense Action Strategy! 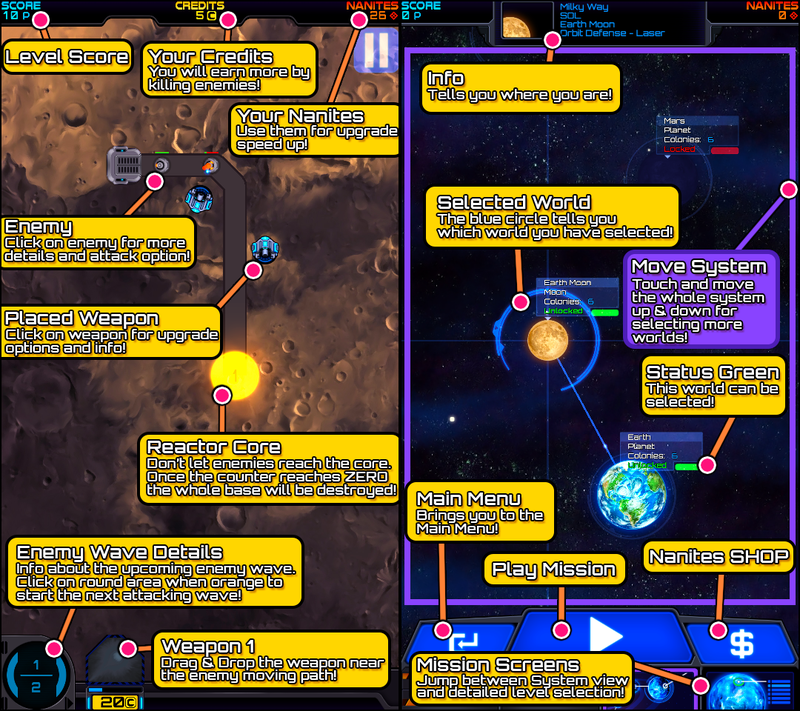 Story driven Tower Defense in space! Awesome game comic art, creatures and characters! Perfect battles for strategy lovers! 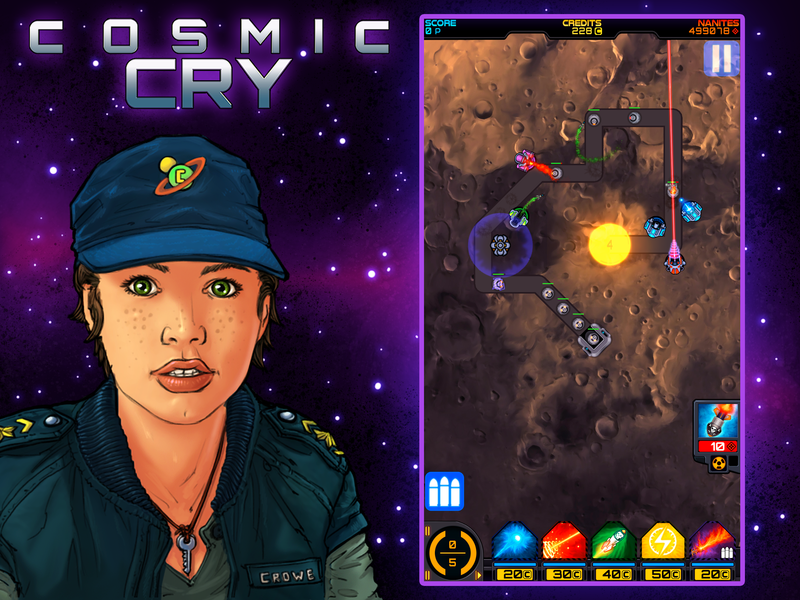 McPeppergames UG (haftungsbeschraenkt) & Co. KG allows for the contents of Cosmic Cry to be published through video broadcasting services for any commercial or non-commercial purposes. Monetization of videos created containing assets from Cosmic Cry is legally & explicitly allowed by McPeppergames UG (haftungsbeschraenkt) & Co. KG. 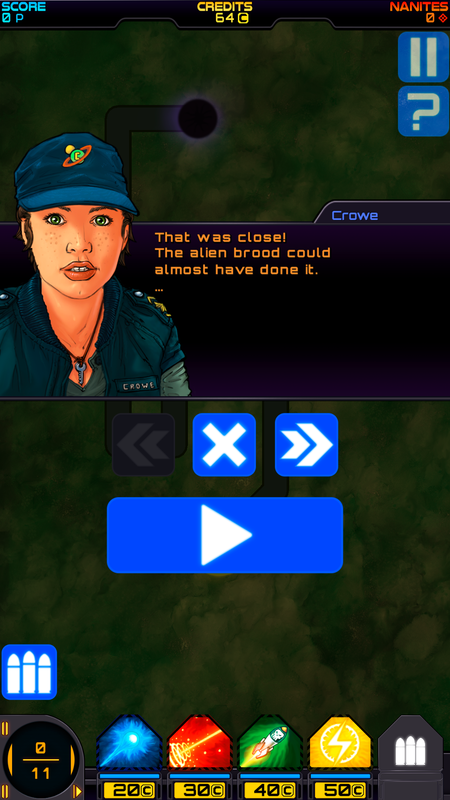 This permission can be found in writing at https://www.moddb.com/games/cosmic-cry/presskit. The McPeppergames UG (haftungsbeschraenkt) & Co. KG is an independent game studio focusing on the creation of high quality and fun to play games for kids and gamers. The company was founded in April 2013 by educator Daniela Mach and game industry veteran Chris Noeth (formerly flaregames and handy-games). 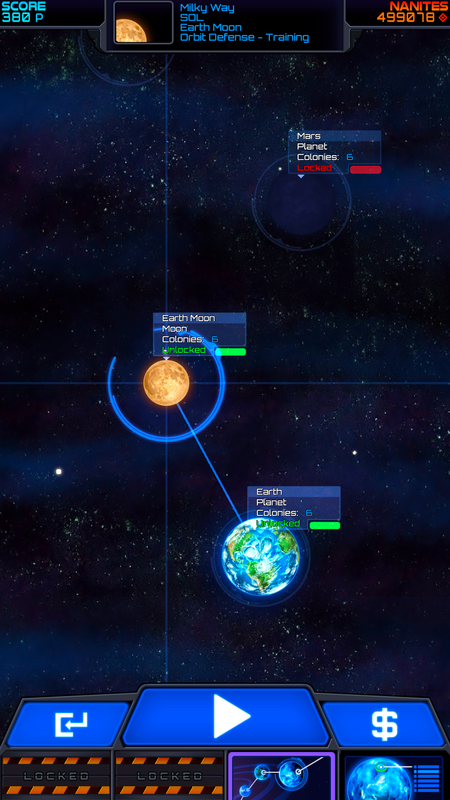 McPeppergames currently is working on three games for gamers. The first one "Mr. Robinson", a funny retro endless runner is now available in Open BETA on Google Play. 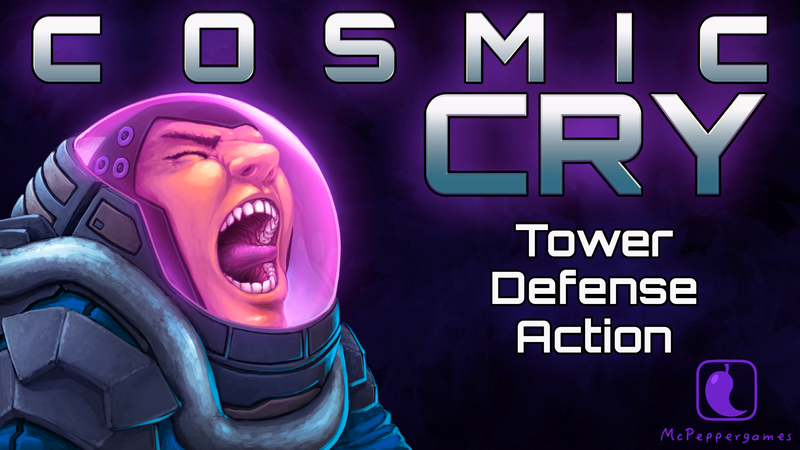 Their second title Cosmic Cry, a science fiction tower defense strategy game is also available as Open BETA on Google Play. More information on McPeppergames UG (haftungsbeschraenkt) & Co. KG, our logo & relevant media are available here.